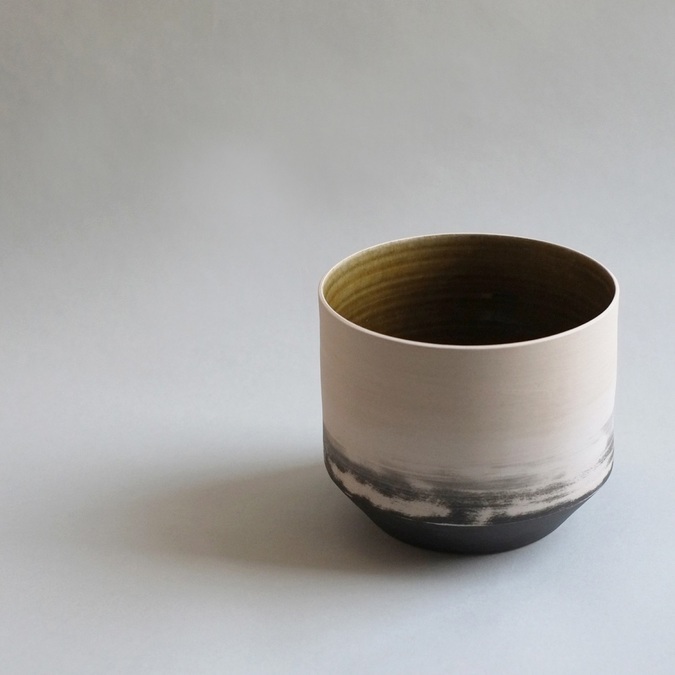 Walsh lives and works in Edinburgh where she has developed a practice that pushes the boundaries of ceramics and glass. Her work has been purchased for major public collections including the V&A London and National Museums Scotland. In 2017, her significant profile in the UK and internationally was further raised when she was one of twelve finalists in the BBC Radio 4/V&A Museum/Crafts Council ‘Woman’s Hour Craft Prize’. A solo exhibition of Walsh’s work is on show at The Scottish Gallery from 2 May-2 June. His Glasgow studio is run in collaboration with his partner Emily Stephen. They describe their studio as a showcase of the things they make, their home, their neighbourhood and the Scottish landscape. Crawford draws his inspiration from Scottish architecture, Scandinavian minimalist interior design and the principles of Brutalism. It is striking that more widely, an appreciation for the highly crafted techniques of 1960s Brutalist architecture has come back into fashion at just about the same time as ceramics have. With a keen interest in architecture and interior design Crawford is keen to collaborate with like-minded designers on new projects. 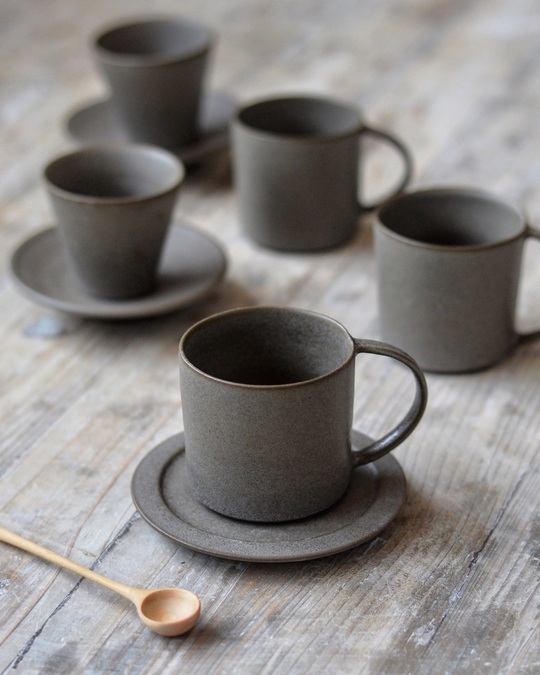 Patterson is a Glasgow-based ceramicist designing and making thrown stoneware. Her work references Victorian pharmaceutical and preserving bottles, 17th century Dutch paintings of domestic interiors and the still lifes of Giorgio Morandi. 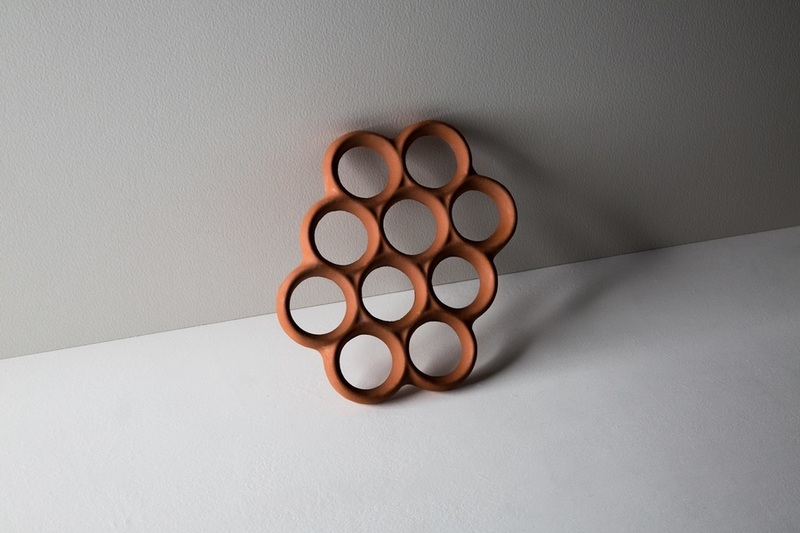 Patterson’s interest in the domestic – in particular its objects, rituals and rhythms – has inspired the gently abstracted forms of her wheel thrown pieces. These are assembled and arranged into ‘functional still lifes’, investigating the point at which an object or collection of objects can be both familiar and distinctive. “The visual appearance and coherence of the collection as a whole is as important to me as how each individual piece feels to hold and to use – in terms of proportion, materiality and balance. The act of making by hand is an integral part of the creative process for me. Every item is made individually and stamped with a makers mark and year of production." 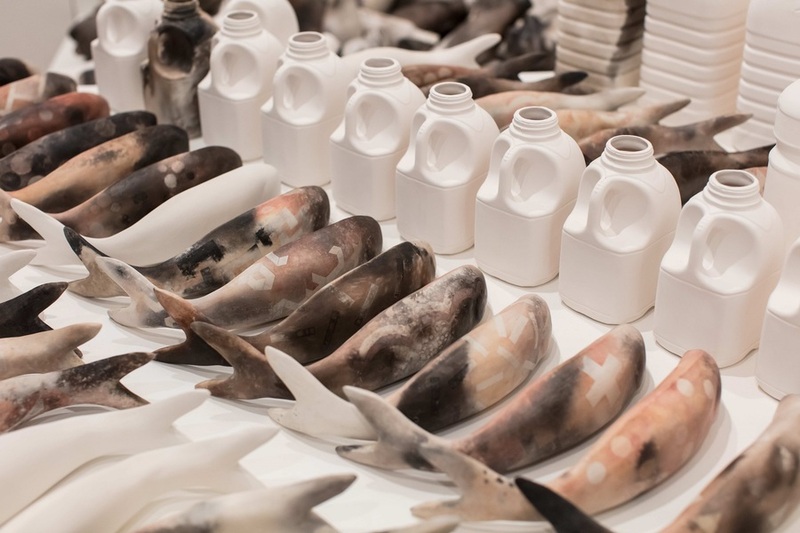 Shaw’s current work HARVEST is a large-scale installation focusing on the environmental tipping point of plastic pollution in the oceans and seas. HARVEST is an entirely ceramic collection of press moulded fish and slip cast versions of plastic containers. Smoke firing has been used to give a nuanced array of surface colours and patterns. Exhibited at Edinburgh’s Custom Lane in April, HARVEST appeared at Hampstead Affordable Art Fair in London 10-13 May and will appear at The Scottish Fisheries Museum in Anstruther over the summer.